Click on Admin, and then hover over Manage and select Students. You can use the search filters to find the student. 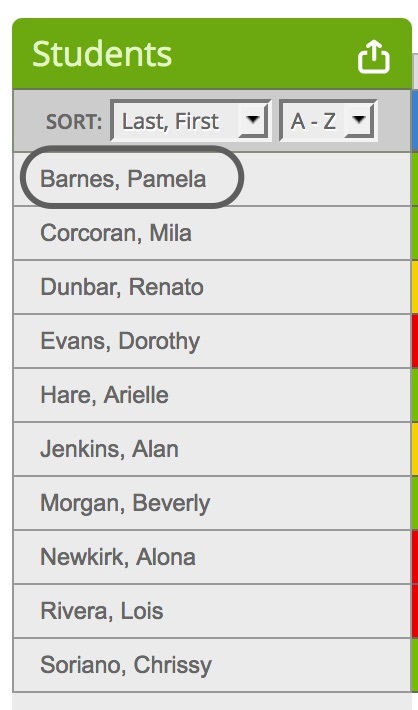 After you find the student whose report you want to view, click on their name to see the list of their current and archived trackers. Click a tracker name to open the student report for that tracker. On the student report, click on Other Trackers to see the other classes for this student, including trackers from previous classrooms. Click on Admin, and then hover over Reporting and select Overview. Find the school that the student is in, and click on the pie chart for that school. 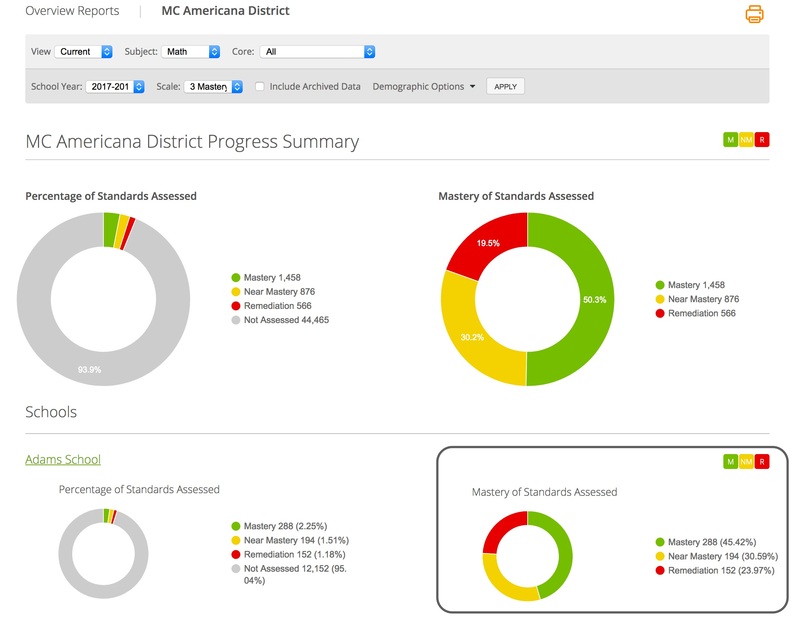 Continue to click on the pie charts to drill down to the teacher level, and then click on View Tracker to see the tracker. Click on the student's name in the tracker to see the individual report for that student.